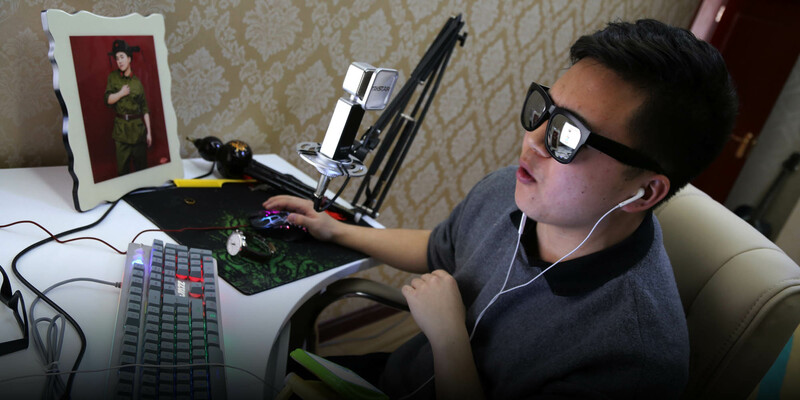 Chinese embrace live streaming to gain insights into the mundane and bizarre. 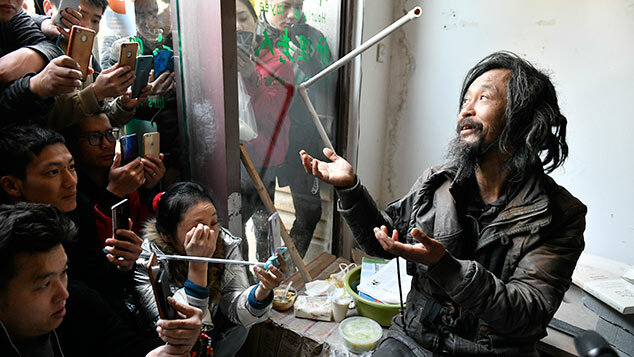 Users of Kuaishou, a video app that allows users to live-stream from anywhere, were shocked when they saw the exploits of 46-year-old “Gourmet Sister Feng.” In her videos, she gulps down light bulbs, feasts on live goldfish, and swallows burning cigarettes. Feng is just one example of the live-streaming hype that has everyone in China glued to their smartphones, and Kuaishou is one of the many video platforms that have seen their user numbers balloon in recent months. 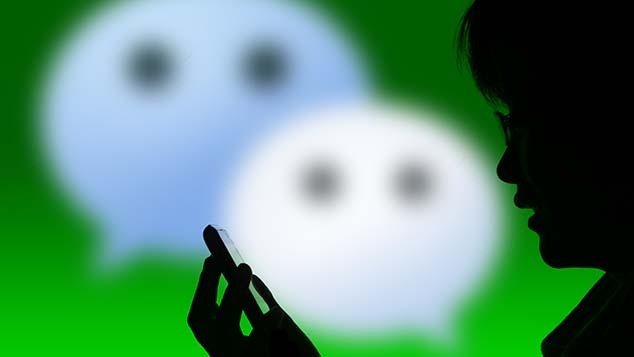 China Unicom, one of China’s largest telecom providers, said in January that the app was responsible for the most traffic on its network, ahead of microblogging platform Weibo and messaging app WeChat, two mobile stalwarts of the Chinese market. 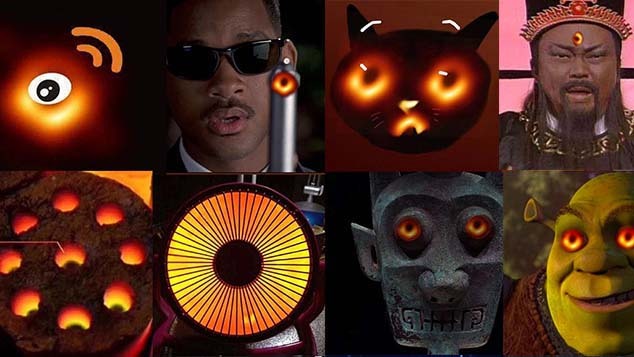 Combined images show the homepage of ‘Gourmet Sister Feng’ (left) and a live stream of her eating a light bulb (right). There’s more to it than just attention — Kuaishou allows viewers to gift money to their favorite video hosts. With millions of daily viewers, investors have recognized the earning potential of live streaming. Kuaishou has received hundreds of millions of yuan in funding, and so have its many competitors, such as Meipai and Douyu TV. With the ubiquity of mobile phones and fast internet connections in China, anyone can live-stream themselves into the national spotlight. Launched in 2011, Kuaishou had 300 million users by March this year, though live-streaming is not the app’s only feature. By comparison, Twitter’s Periscope app has more than 10 million users, according to the latest available numbers. Many users show off their talents or do funny acts, but video content varies from mundane — eating food — to sexual or shocking. Qi Zihang, 17, is not so provocative. Every day after school he records a short video or two of himself playing the guitar while his mother sings along. Then he uploads these videos to Kuaishou. With almost 700 million fans, Qi, who lives in Liaodong City in northeastern Liaoning province, is a music star of sorts. On an online forum dedicated to him, his fans — mostly young women — confess their admiration, share pictures, and rave about both his looks and guitar skills. Combined images show the homepage of Qi Zihang (left) and a live stream of him playing the guitar, accompanied by his mother (right). Qi told Sixth Tone by text message that he does not attend school much and that he thinks of making videos as his profession. Even during last week’s gaokao, China’s days-long college entrance exam, he found time to upload multiple videos. And Qi has his reasons for setting his priorities this way: According to a Chinese media report, he earns about 20,000 yuan (roughly $3,000) per month from gifts on Kuaishou. The app also allows for ads — Qi reportedly charges 600 yuan to run an ad for 24 hours. The government has taken notice, too, especially of the sometimes sexual or otherwise problematic content broadcast on these platforms. In April, China's Ministry of Culture banned videos of suggestive banana eating and announced that 19 live-streaming websites would be investigated for streaming copyrighted material. Shocking content isn’t safe either: All the videos of the light bulb-eating Gourmet Sister Feng have been removed from Kuaishou. Fortunately, Qi’s guitar playing is unlikely to disturb anyone. For now, Qi says he’ll keep on doing his thing as long as Kuaishou exists. His goal this year is to have 1 million followers. “But I am thinking about returning to reality, gradually, maybe getting into business,” he added.